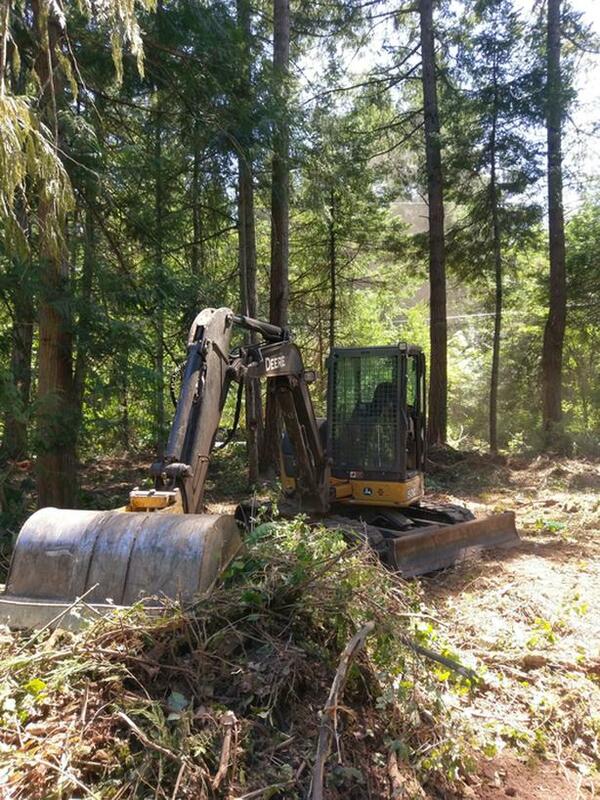 Greater Victoria Services is please to be able to offer affordable excavation, bobcat and trucking services. We use new, well maintained machines that get the job done right the first time. Our fleet consist of 4 different size excavators ranging from 2-12 tons with numerous different attachments available. 2 different size skidsteers (bobcat) with bucket, skeleton bucket, forks and grapple bucket. 2 trackloaders with bucket, skeleton bucket, forks and grapple bucket. A cab over single axle(4 tons) bin truck with bins ranging in size from 6-20 yards. A tandem axle(14 tons) bin truck with bins ranging in size from 6-40 yards. We get the job done quickly and efficiently. We also offer complete landscape design and construction services and can see the job thru from start to finish. Experienced in all aspects of landscaping call us first and you wont be disappointed with the results. Please call, text or email for your free estimate.